Last Friday 15th July, Maxol and Licensees Gerard & Fergal Ralph from Donabate celebrated the official launch and invited the local community down for lots of fun and treats on the day. There was plenty of activity in-store, Music from DJ Ray Shah and the Maxol Prize Wheel which created quite the buzz on the busy forecourt with customers getting a chance to spin & win some great prizes! In-store, the delicious Moreish deli range was being sampled by well know food blogger Melanie May from “I Love Cooking”, and Bewleys Barista bar sampled a new range of chilled drinks, perfect for the sunny & warm day. For the kids there was face painting and balloon modelling, and we think you can see from the picture gallery there were lots of happy campers! 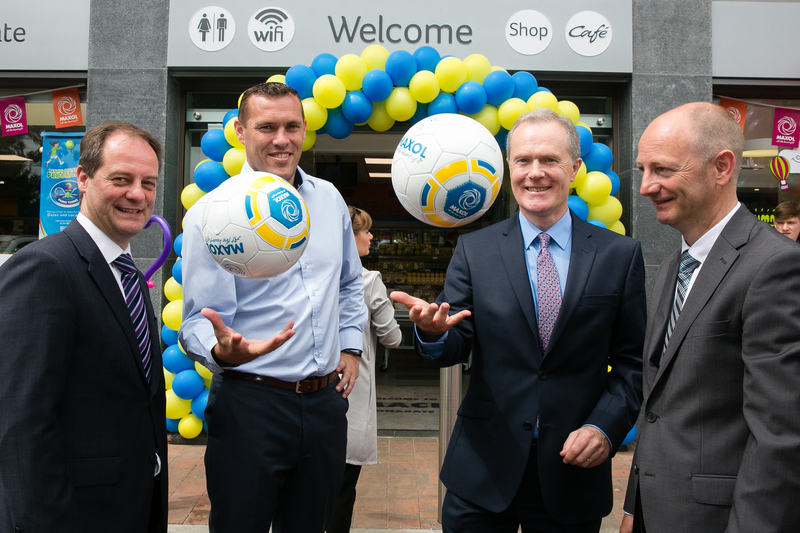 On top of all that, Dublin football legend Ciaran Whelan made an appearance to cut the tape to officially open the service station, took time to meet with customers and sign some Maxol branded footballs for the kids. He also tucked into a Moreish Club saying it was ‘quite the feast’! To view photos from the day, please click the link to the gallery: https://goo.gl/9DfotO.